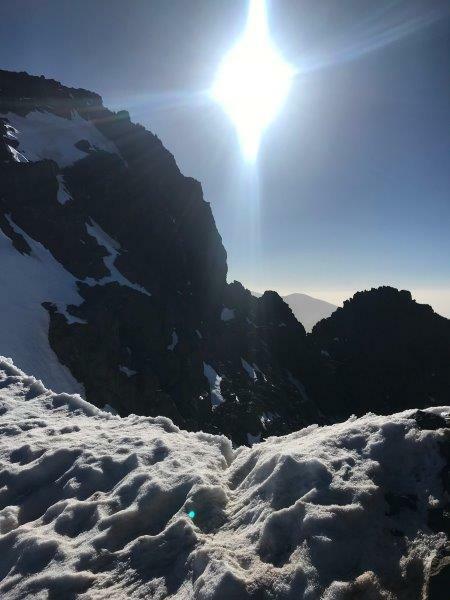 I have just come back from a wonderful, wonderful time in Morocco where I managed to clamber up Jebel Toubkal the highest peak in the Atlas Mountains. Beautiful scenery and a physical challenge where two of my main motivators, but there was the added bonus of disappearing ‘Off Grid’ for two days. I realised it was ages since I was truly away from the modern world AKA the internet and email. With a big sense of freedom and wonderful open blue skies, my brain felt free and open and that led to some great big new thoughts and ideas. So maybe you can’t head up a mountain anytime soon – but how could you get yourself Off Grid and get that sense of freedom and tranquillity to do some big and different thinking? Where’s the place? I would suggest it isn’t at your desk, identify somewhere you find peaceful and relaxing. Maybe you want to be walking or doing some other physical activity, or maybe it is about being truly still and calm? What do you need to do to truly get Off Grid? Your can’t often think big or blue at the flick of a switch, you need time to relax and you need to limit distractions, so build in a good dollop more time that you think you need. Go ‘Off Grid’ by switching devices off – no cheating by switching to vibrate – turn them OFF…..and then KEEP them off. What’s your brief? A free and relaxed mind still needs a bit of direction, so make sure you have some areas you want to think through or explore. You will probably find that once the thoughts start flowing you have additional ideas in other areas too. Where do you want to be in 3, 5 or 10 years’ time? What is the one thing that could make the biggest difference for you / your business? What would you / your team do if could not fail? If money was no object? If you weren’t scared or had nothing to prove? What would your most admired competitor or leader do? What could make something twice as effective? How can you do less and achieve more? What ‘shoulds’ can you let go of? What important but not urgent things are you neglecting that could really push you forward? And finally keep asking yourself…..What else? I hope that produces some good thoughts for you. Let me know how you get on and in the meantime I’m off to plan my next mountain climb.